When your printer lighting Alarm lamp is Orange and error code is displayed on LED. The Error Code are here. You can troubleshooting and fix the error. 1. E02: The printer is out of paper. Reload the paper correctly. 2. E03: Paper Jammed or Paper out tray is closed. You should check the paper out tray and if not resolved, you try to remove the jammed paper. 3. E04 /E05: The Cartridge not recognized. The cartridge are not installed correctly or not compatible. You should try to remove the FINE cartridge and re install the cartridge locking cover until it clicks into place. If not resolved, contact nearest canon authorized service center. 4. E07: The Cartridge is not installed in the correct position. You should check if the Black and Color cartridges are in the correct position and try to remove and re install the cartridges. 5. E08: Ink absorber or waste tank is almost full. Contact nearest canon authorized service center. 6. E13: The remaining ink level cannot be detected. The ink cartridge may have RUN OUT. Replace new genuine Canon cartridges. If you need to continue printing without this function, press the printer's STOP/RESET switch for at least 5 seconds. 7. E14: The Cartridge not recognized. Install the appropriate FINE Cartridges. 8. E15: The FINE Cartridge not recognized. The FINE cartridges are not installed properly. You should try to remove the cartridge and re install the cartridge locking cover until it clicks into place. 9. E16: The ink has RUN OUT. If printing is in progress and you want to continue printing, press the printer's STOP/RESET switch/ button for 5 seconds then the printing can continue. Change the empty ink cartridge. 10. E30: The document is too small when the Fit to Page Copying is selected. You should check the position and direction of the documents on the platen glass. 11. E31: The printer is not attached with the computer. You connect the USB cable of the printer to computer. 13. P02: Cancel printing and turn off your printer. Clear the jammed paper or material that prevents the cartridge holder from moving. Maybe the cartridge is faulty or damaged. Turn ON your printer. 14. P10: Restart your printer. If the same error occurs, contact nearest canon authorized service center. 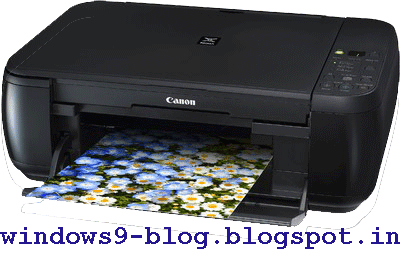 1 Response to "Canon MP 287 Printer error code and fix"